Strictly Come Dancing winner Alesha Dixon, who won the show in 2007 before returning as a judge, said she understands why dance partners could end up falling for each other, revealing training gets “intense”. Speaking on The Jonathan Ross show, she explained: “The sexual chemistry is real. You’re rubbing up upon them! Alesha spoke out about the infamous curse after Seann Walsh, 32, and his married dance partner Katya Jones, 29, were pictured kissing last month. The “curse” refers to relationships that have ended following a stint on the BBC talent show. Reflecting on her own time on the show, Alesha, who was single at the time, went on to say she “probably” tried to kiss her dance partner Matthew Cutler. She added: “I probably tried to snog [Matthew], knowing me! “Thing is, on Strictly, I was just so focused on doing well that I didn’t have time for the hanky panky and the nonsense that goes on. Alesha added she was grateful she was “single” as she could commit to the show without worrying about the curse. She spilled: “If I was in a relationship at the time when I was asked to do the show, it would have been a thing I’d have to consider. Alesha won the Glitterball trophy on the show back in 2007. Two years later, she returned as a judge, replacing Arlene Phillips. The former Misteeq star stayed on the panel for three years before she moved on to judge Britain’s Got Talent. Elsewhere, Strictly stars Seann and Katya were voted off of the show last weekend. The duo failed to impress the public with their Viennese Waltz to I Put a Spell on You by Screamin’ Jay Hawkins, putting them in the dance-off. Last month, the pair locked lips during a night out in London, despite the duo being in relationships at the time. The Strictly stars addressed their antics, referring to it as a drunken “one-off”. Katya’s husband Neil Jones spoke of the curse just days before his wife kissed the comedian. He told Heat Magazine: “It’s just one of them things where I just say, is it real? 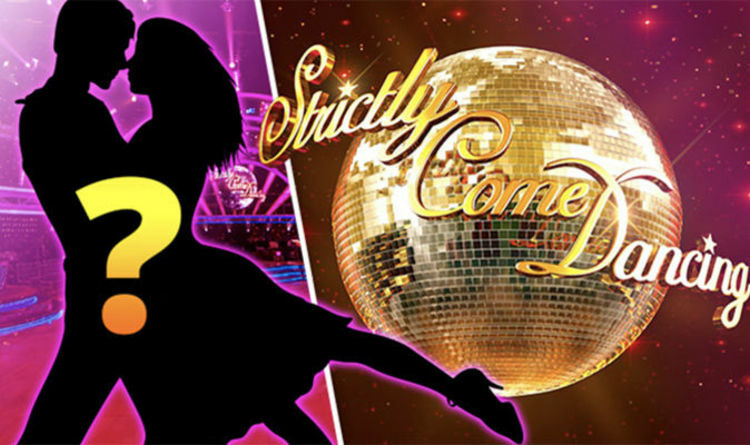 Strictly Come Dancing continues tomorrow at 7:05pm on BBC One.